The official start of spring is this week!!! Now we just need it to start feeling like spring. 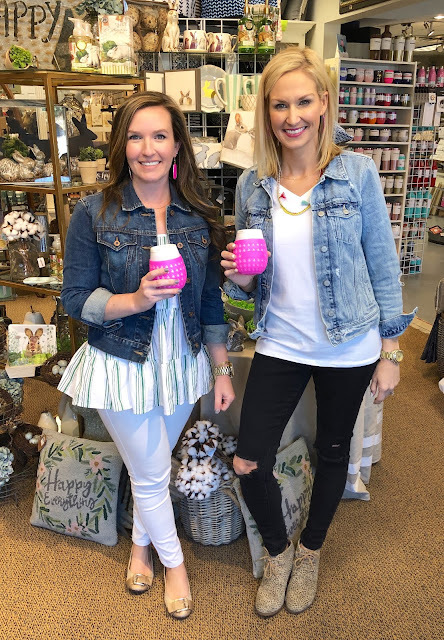 Spring Break and Easter are both right around the corner so we visited Findlay Rowe, our favorite boutique and gift shop, last week to check out all of their spring goodies. SO many adorable things, as always!!! 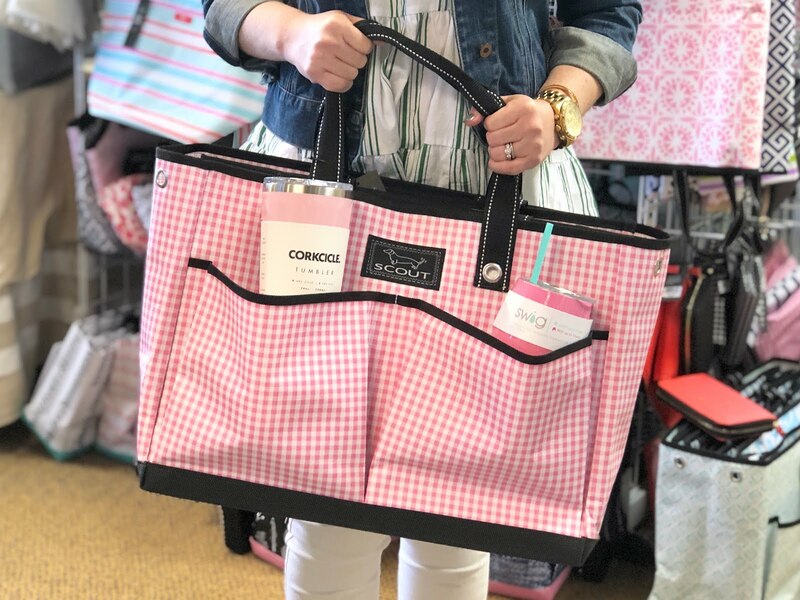 We love these Scout bags for the beach or pool. Easy to wipe clean, lots of pockets to keep all of our things organized and so many cute patterns. The spring clothes and accessories at Findley Rowe are so bright and fun! 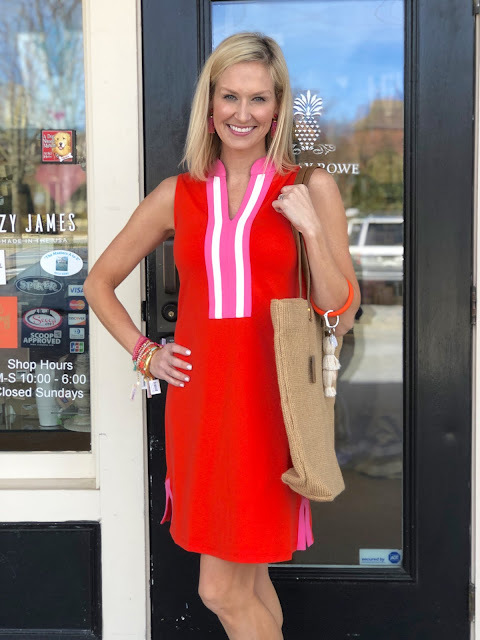 I loved this orange Spartina Dress and jewelry. 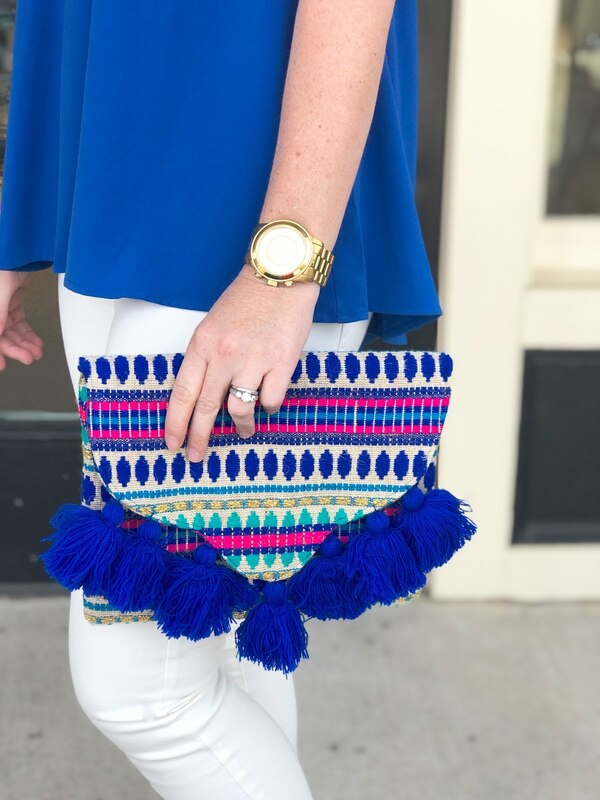 And we both came home with one of these fun clutches!!! Blue for Jen and pink for Carrie Beth. We loved them because of the vibrate colors, the fun tassel details and the size is great! 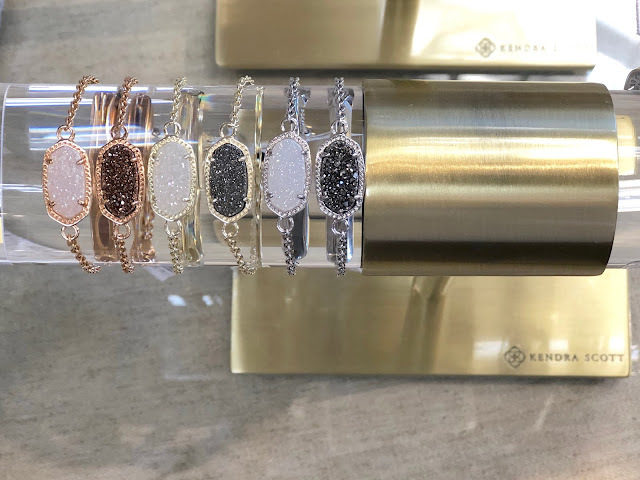 We were so excited to learn that Findley Rowe now carries Kendra Scott! 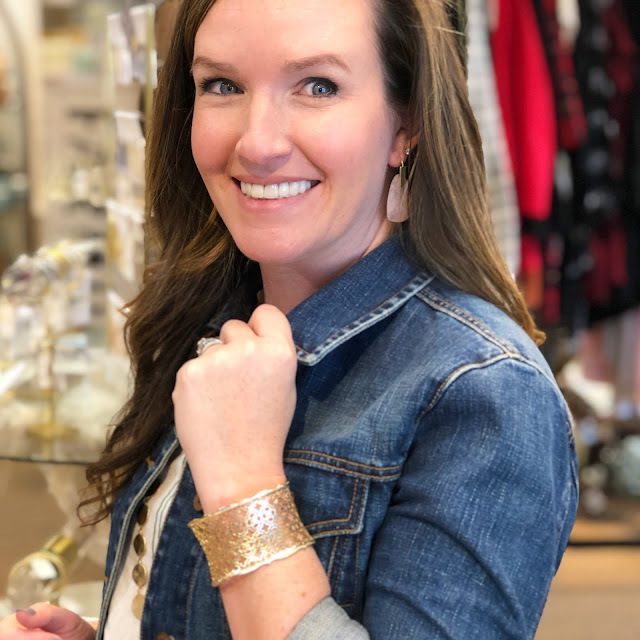 SO many beautiful and classic pieces. Spring sunshine means we spent a lot of time outdoors and we area always trying to keep the sun off our faces with hats. 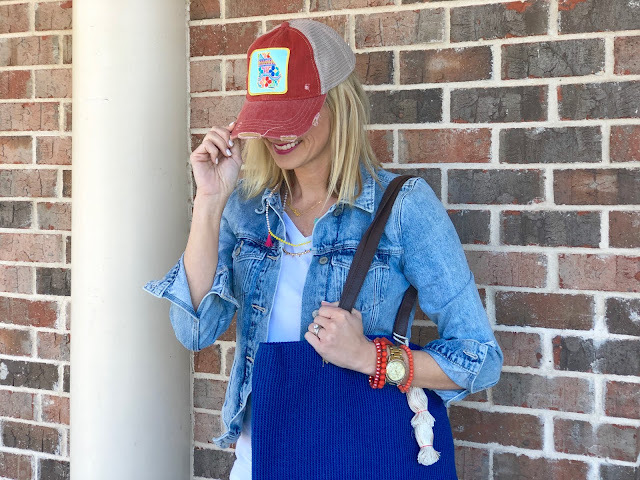 These Judith March hats are so cute and we love the state pride patches. 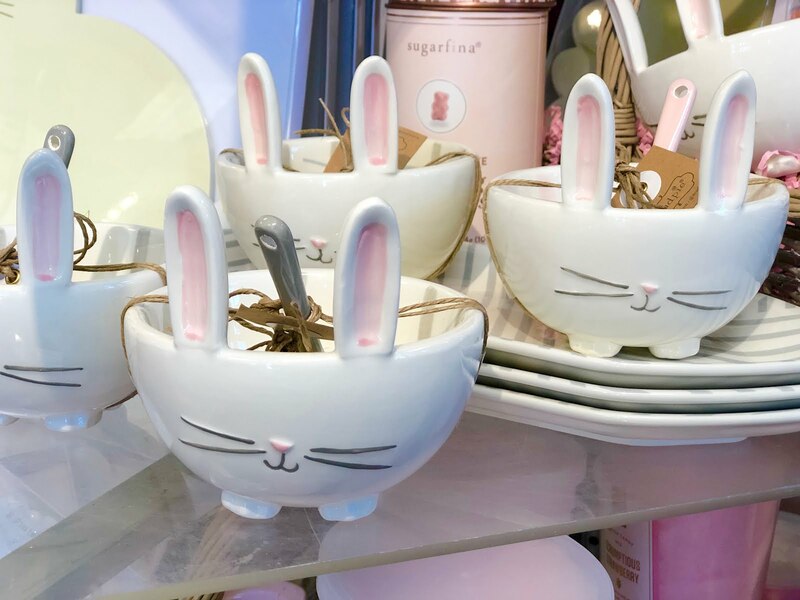 Anyone hosting Easter this year? Or need a cute little hostess gift? 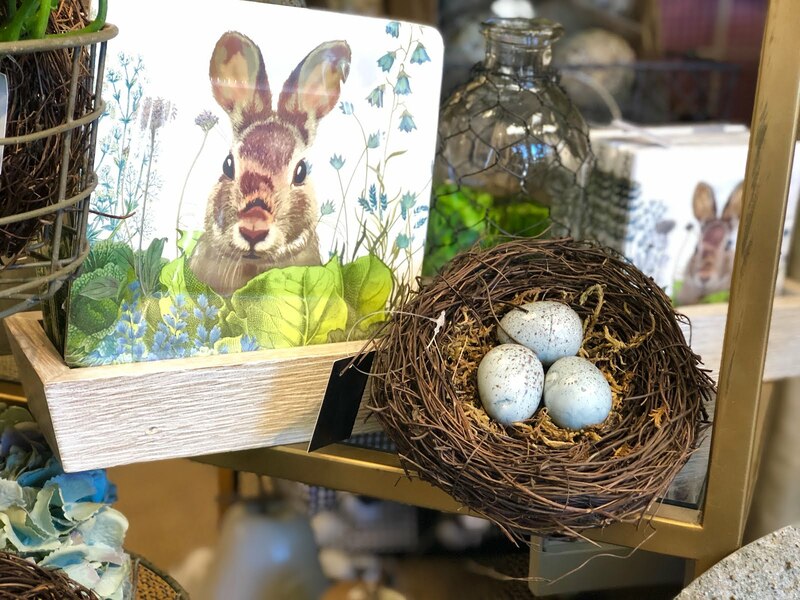 Findley Rowe has a huge selection of the most darling Easter accessories, gifts and decor! Some of their items are online, but SO much more in store so if you are local you should totally stop in, say hi, and told them we sent you! To see some more of our favorites you can check out the video!